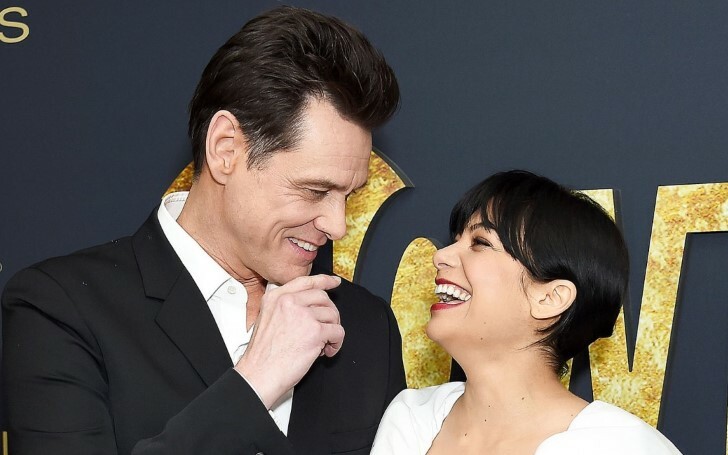 Jim Carrey is dating actress girlfriend Ginger Gonzaga; the duo made a sweet debut on the Red Carpet. 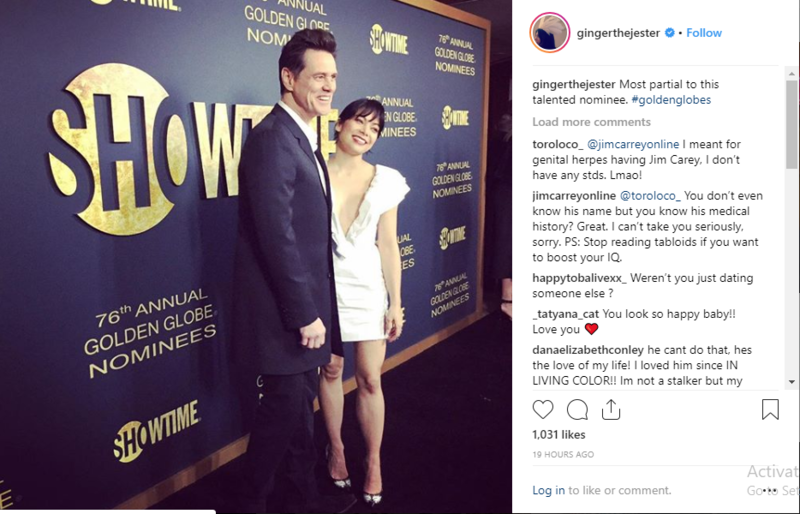 A Canadian-American actor, Jim Carrey is dating Kidding co-star Ginger Gonzaga. The pair made their red carpet debut at Golden Globes nominees celebration in West Hollywood, California. Moreover, the 56-year-old actor, Jim confirmed to People he is dating Ginger. Gonzaga, who previously starred in the Showtime series I’m Dying Up Here, where Carrey served as the executive-producer, shared several sweet snapshots from their night out on her Instagram page. On this event, Carrey got nominated for a Golden Globe Award for the best appearance by an actor in a television series, comedy or vocal, for his role as Jeff on Kidding. Along with this, Carrey recently opened up about his love life in November 2018 in an interview with the Radio Times. This is the actor's first public relationship following the death of Jim's ex-girlfriend Cathriona White, who died from an overdose in 2015. Carrey previously married twice. His first marriage was to former actress and Comedy Store waitress Melissa Womer, whom he tied the knot on March 28, 1987. The former pair shared two kids together, Jane Erin Carrey, born on September 6, 1987, who later became a 2012 contestant on American Idol. However, the duo separated in 1995. A year later, on September 23, 1996, Carrey married his Dumb and Dumber co-star Lauren Holly whom he was engaged from 1999 to 2000. After this, Carrey dated model and actress Jenny McCarthy making their relationship public in June 2006. But in April 2010, the two ended their love life. Later, On September 28, 2015, Carrey's former girlfriend Cathriona White, was found dead from a prescription drug overdose. The couple first met in 2012. Carrey was a pallbearer at her funeral in Cappawhite. Speaking about the affairs of Ginger Gonzaga, she is not known to have dated anyone. However, there was a rumor about her relationship with a mystery man. In fact, there is no exact information about her previous relationships. Neglecting the past affairs and rumors of Jim Carrey and Ginger Gonzaga, it seems they are happily sharing their beautiful moments together among all their fans and followers. As of January 2019, the new romantic couple took one step further with a sweet debut in the Red Carpet.